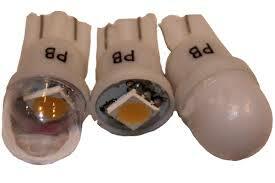 Our led kits do not simply replace every bulb with an LED. Our kits do not attempt to retain the original game look. Instead, our kits are intended to transform your machine from a dated and dull machine into a bright well-lit machine that will sit next to any new machine and look great. We use the highest quality pinball leds only in all our pinball led kits! 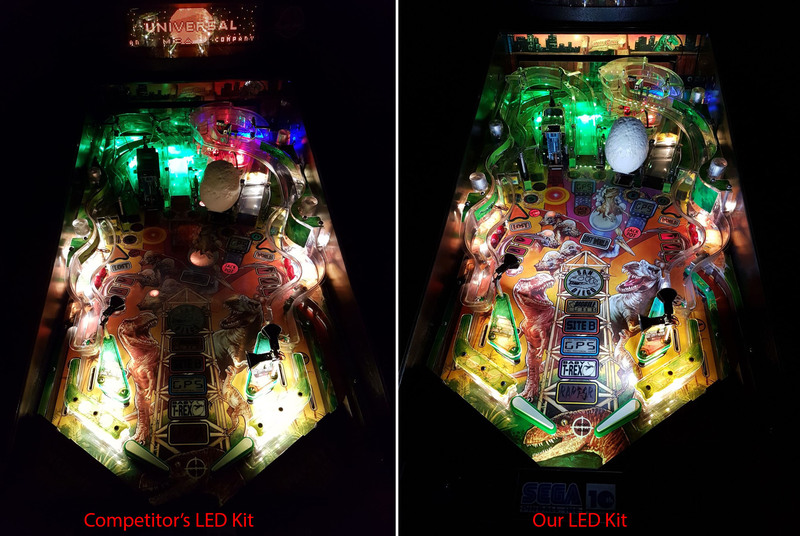 We have made Pinball LEDs as simple as possible for you! All of our styles contain the same base LED bulb, but with different domes depending on where you want to place the pinball leds. 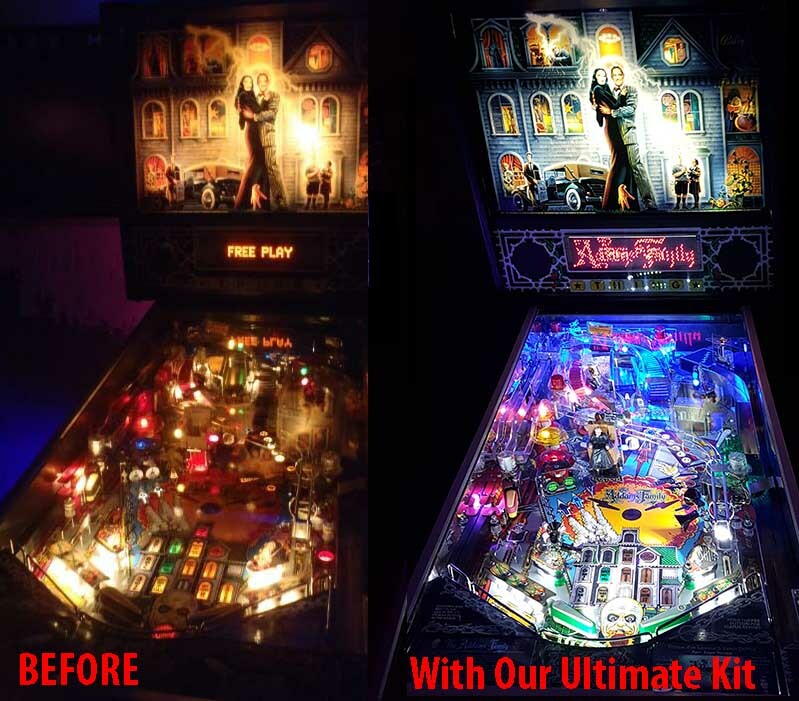 You will never again have to order tons of different styles of pinball leds for one machine. To make a 'super bright' simply pull off the cap of a frosted or clear dome and you have yourself a super bright, at a great cost! We only sell top quality pinball leds and do not carry any lower end duller pinball leds. 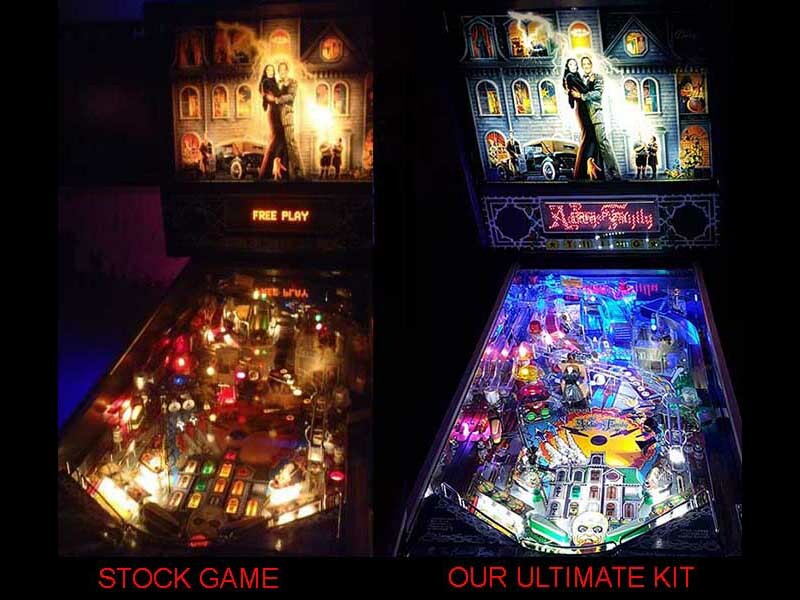 Check out our new Pinball Machine Non-ghosting List. Welcome to PinballBulbs.com! 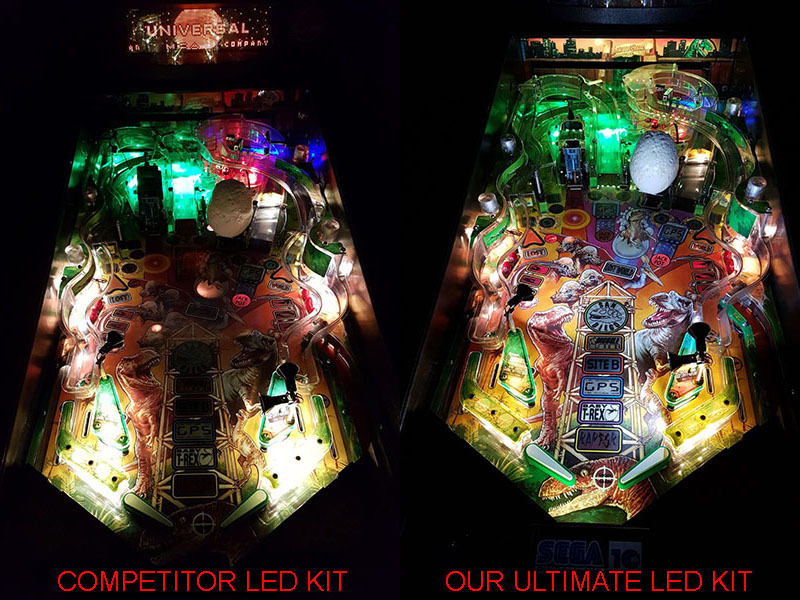 We provide the highest quality Pinball LEDs and other LEDs available on the market today. Our prices are the lowest, quality is the highest and our customer service is top notch. Please do contact us if you have any questions or need assistance with ordering your pinball leds, pinball led kits or other products! All of our pinball leds have been hand tested, but if you do receive a non-working or broken bulb please contact us. We will be happy to replace any defective pinball leds.